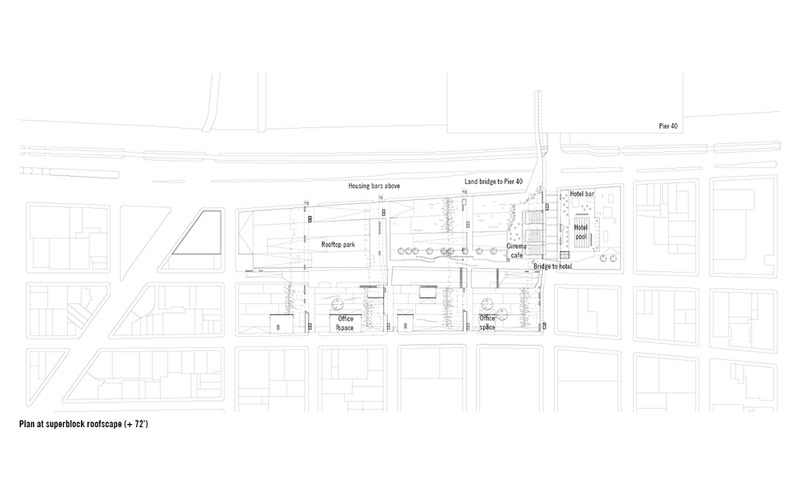 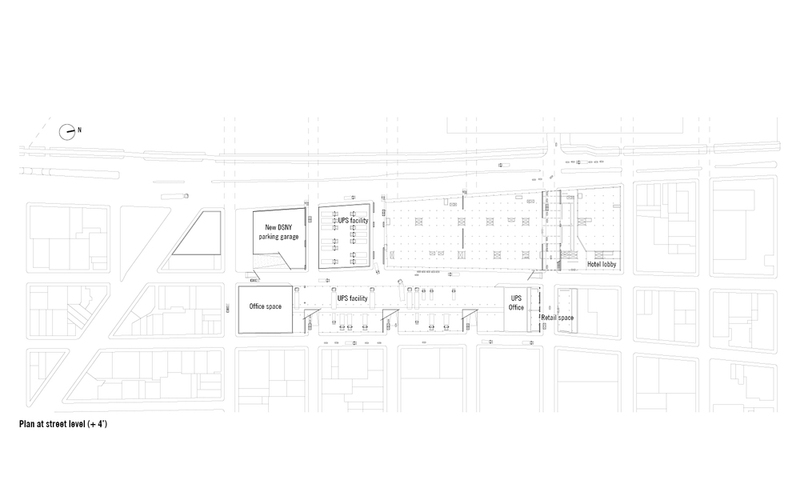 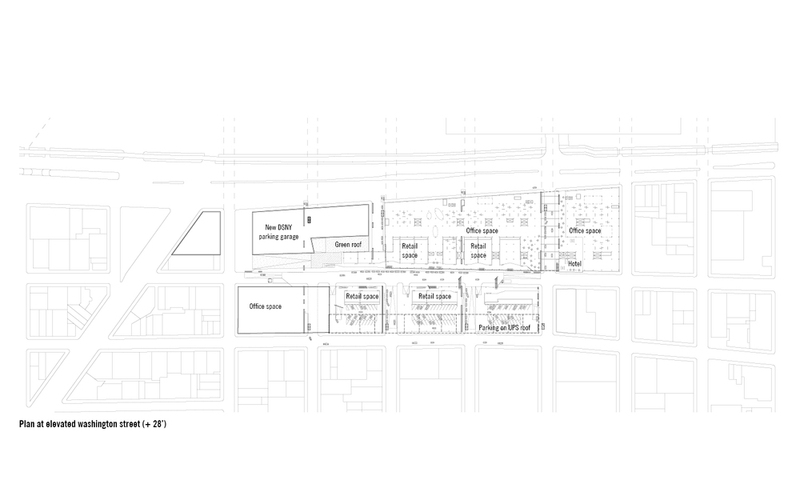 The design of this commissioned study for a developing area on Manhattan's West Side exploits the collision between two conflicting urban paradigms: the 1811 Commissioner's Grid of Manhattan and the early Twentieth Century superblock. 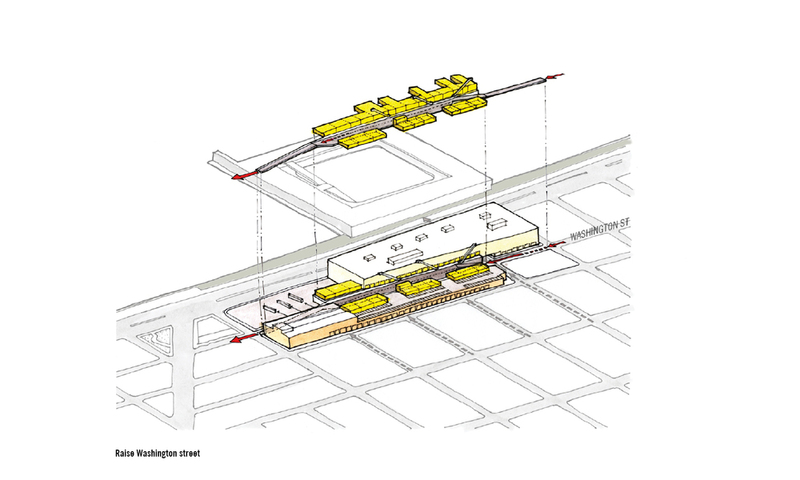 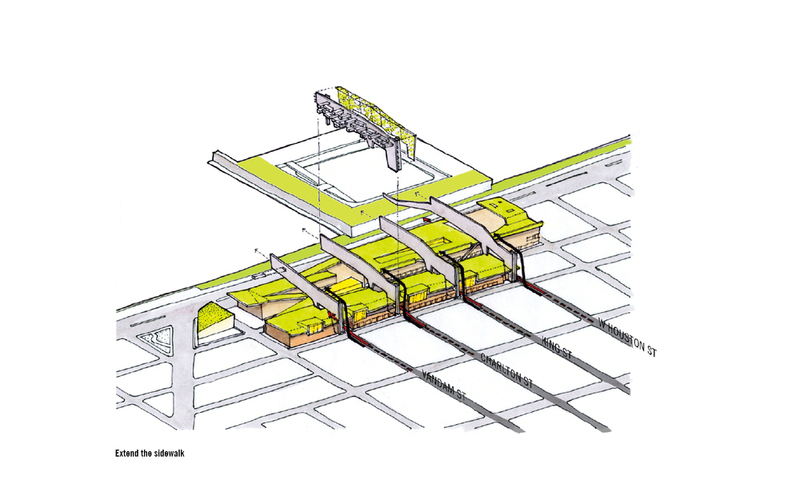 Engaging two existing, multi-block structures - the St. Johns Center and the UPS distribution facility - the design extends the interrupted east-west street grid of nearby Greenwich Village over the roofs of these architectural monoliths in the form of a series of elevated housing bridges. 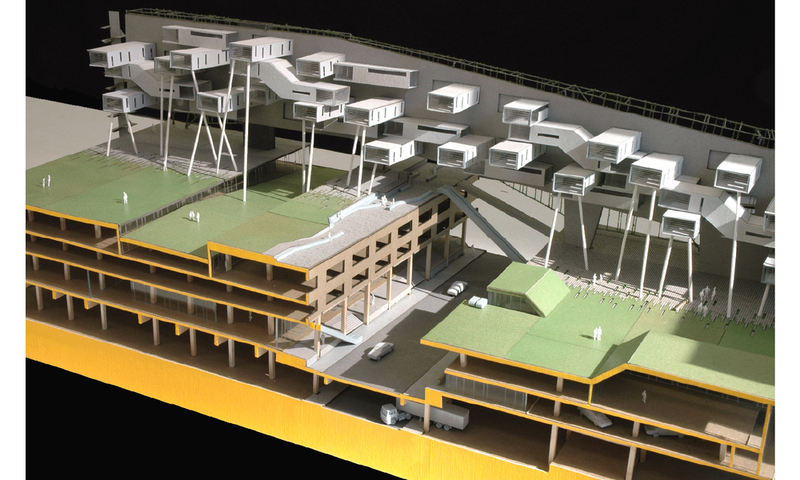 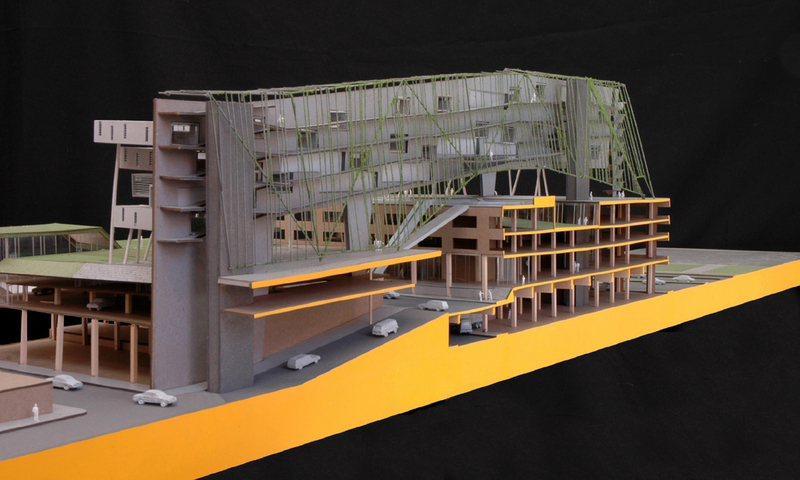 Literally piggybacking onto the existing fabric, the proposal activates these outmoded structures, producing a new form of three-dimensional urbanism. 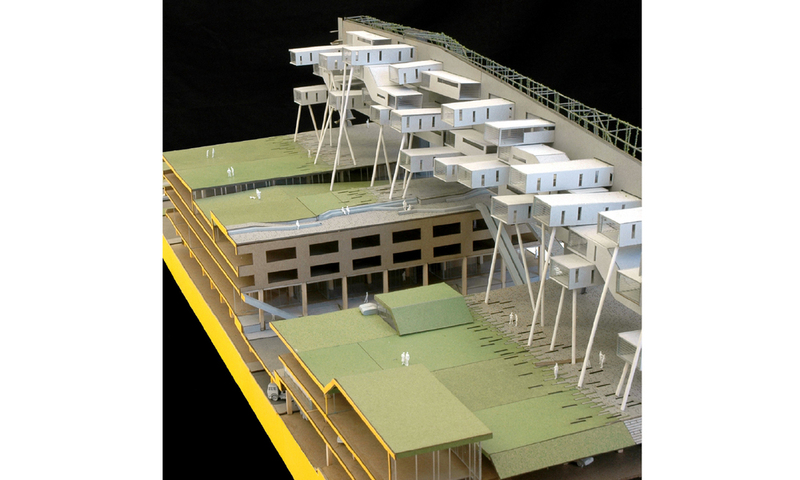 Acting as an inversion of the street, the housing bridges sponsor a series of cantilevered dwellings which shift in section to maximize southern exposures and waterfront views. 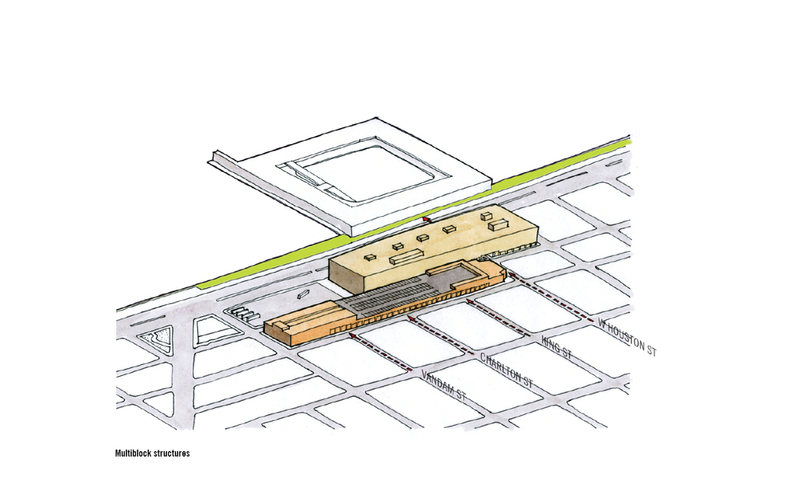 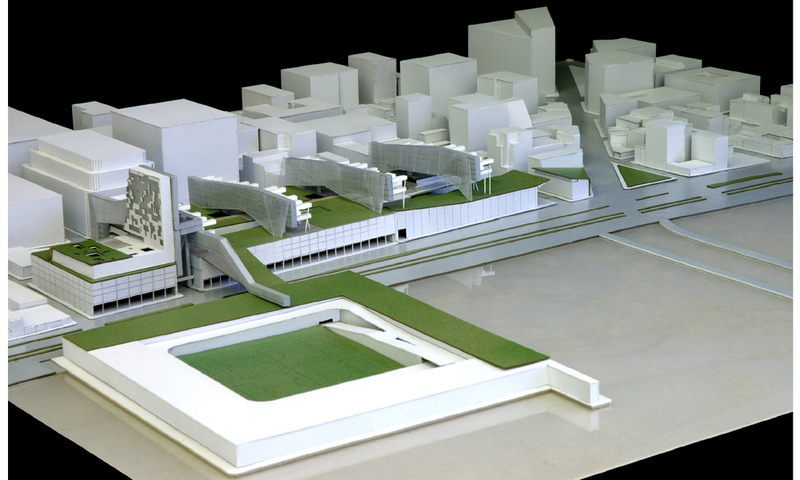 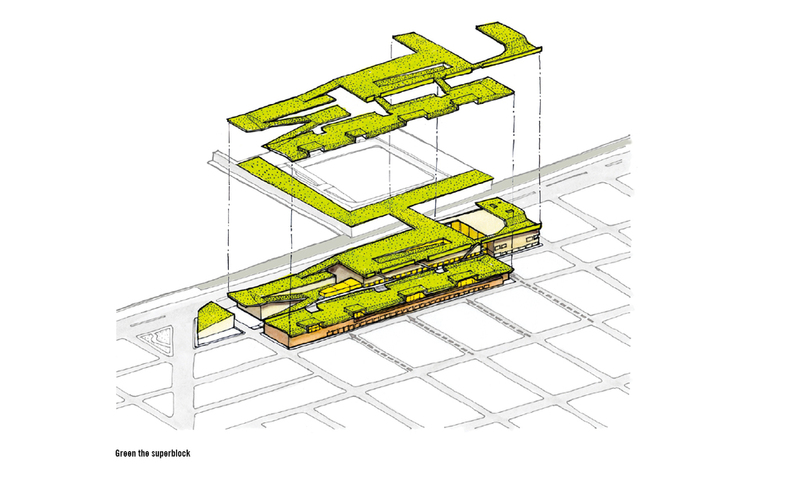 The expansive horizontal roofs of the superblocks become surrogate landscapes that incorporate parks and agriculture, while a series of voids allow daylight into the buildings' deep floor plates and activate the interior spaces for new uses.